Chris is a Seasoned Leadership Development professional with a track record of helping companies thrive. He is a proven leader and trusted adviser with a corporate career spanning 25 year in Strategy Consulting and FMCG Sales, Marketing and General Management. Chris’ passion for Africa and deep understanding of the business environment have taken him all over the continent, including long spells in Nigeria. Since 2007 he built the Africa practice of a global management consulting firm into a significant business focused on creating strategy then implementing it to deliver sustainable growth for companies. He specializes in driving the commercial agenda, developing new markets and building organizations and talent. I first met Chris when he was running McKinney Roger’s Africa business in 2008, and I was looking for a fresh direction for CWG to take us to the next level. We worked together to develop a new pan African vision and practical strategy. From there Chris and the team supported us over the next 5 years with their special blend of organizational alignment, performance coaching and rigorous follow-up. Chris and his team then took us into the realm of getting into the top 200 leaders’ behaviors and values aligned to delivering the new CWG value proposition. Chris, a Cambridge graduate was the Commercial Director of Diageo, where he spent 14 years of his career. 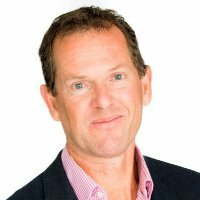 He was Managing Partner in McKinney Rogers for 9 years, and is currently the Senior Performance Consultant of GP Strategies in the UK after the company acquired McKinney Rogers.